Liver cirrhosis is a serious disease. It occurs when healthy liver cells are damaged and replaced by scar tissue, usually as a result of alcohol abuse or chronic hepatitis. Nutrition plays an important role in not only improving liver health but also in preventing or reducing complications of the disease. The article explains what liver cirrhosis is, which foods you should and shouldn’t eat with the disease as well as a sample cirrhosis diet. Cirrhosis is the severe scarring of the liver. It’s a slow developing disease in which scar tissue replaces healthy liver cells. Cirrhosis eventually prevents the liver from working properly, leading to health problems. Ascites: Excess fluid in the abdomen, causing swelling and stomach distention. Varices: Swollen veins in the lining of the esophagus, the tube the connects your throat with your stomach. Hepatic encephalopathy: A buildup of toxins in your blood, which can lead to poor brain function. Hepatocellular carcinoma: The most common type of liver cancer. The purpose of a cirrhosis diet is to prevent or reduce complications and promote liver health (2, 3). The diet limits sodium and increases protein. Limiting your sodium helps your body eliminate excess fluid. 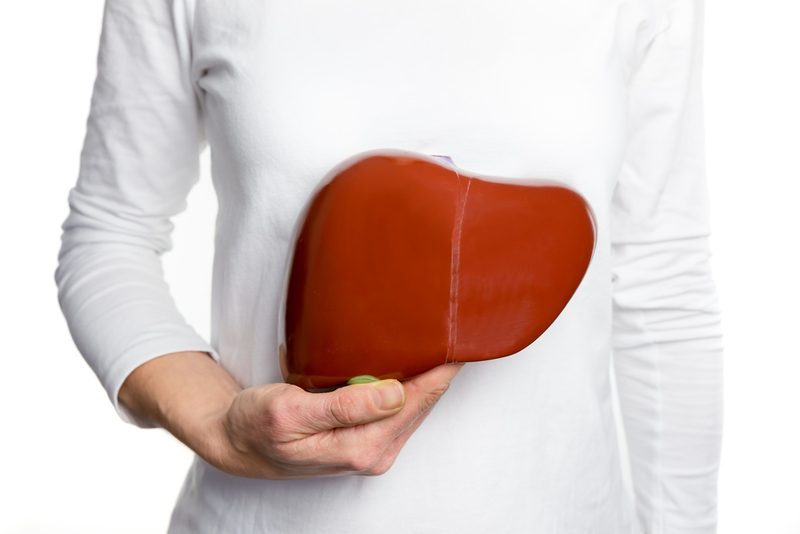 Fluid buildup — especially in the legs and abdomen — is a common complication with cirrhosis. It’s recommended to limit your sodium to 2,000 mg per day (1). Canned soups (unless they are sodium-free or low-sodium). Seasoned and packaged rice and pasta mixes. Frozen meals that have more than 600 mg of sodium per serving. Processed meats such as bacon, sausage and hot dogs. Quick breads such as biscuits and cornbread. American, Parmesan, Swiss and cottage cheese. Condiments such as salt, ketchup, soy sauce, salsa, pickles and salad dressings. Instead, eat more foods that are naturally low in sodium such as fresh or frozen fruits and vegetables and fresh meats. You can add flavors to your food without sodium with lemon juice, dry or fresh herbs and sodium-free seasonings. Increasing your protein intake helps improve nutritional status. Malnutrition is common in people with cirrhosis and is often associated with poor health outcomes (4, 5). It’s recommended to consume 1.2-1.5 grams per kg of body weight per day (6). Remember to use sodium-free seasonings for adding flavor to meats. Liver cirrhosis is the severe scarring of the liver. It’s commonly caused by viral infections, from fatty liver resulting from obesity and chronic alcohol abuse. A low-sodium, high-protein diet is recommended for liver cirrhosis to prevent or slow complications of the disease and to promote liver health. « Previous Post GERD Diet: Food List, Sample Menu and Tips Next Post » What Are Net Carbs and How Do You Calculate Them?